Create impressive forms using our HTML form builder. Get email notifications, collect and manage data, and effortlessly collaborate with your team. Use our drag and drop builder to create a form, or pick from a collection of professionally-made form templates. With endless customization options, design forms that compliment your brand and optimize your lead generation. 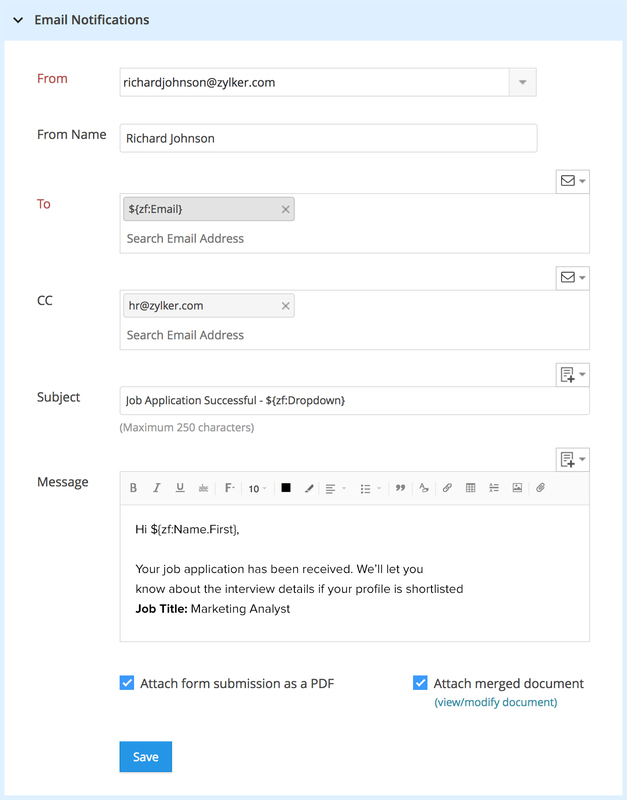 Publish forms on your website with a simple copy and paste, or circulate your form as a link or on social media. Trigger email notifications when receiving new submissions. Send confirmation emails, keep stakeholders in the loop, and include attachments or a copy of the submitted form in your emails. 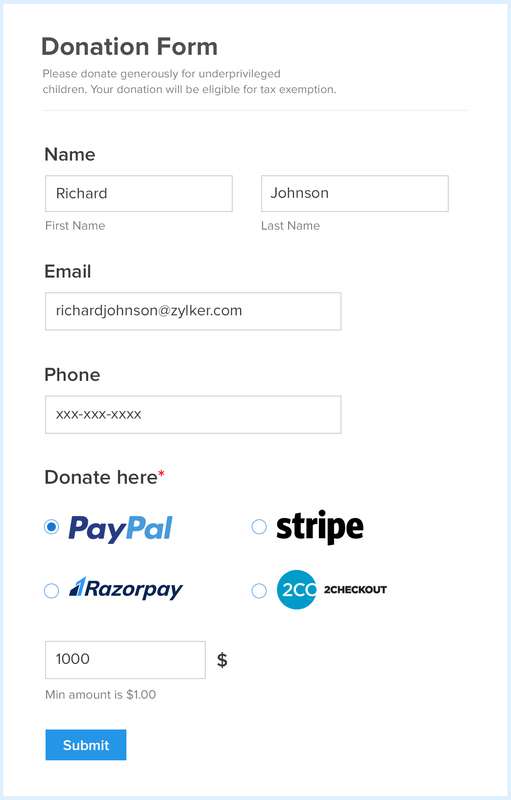 Use secure online payment gateways, like PayPal, Stripe, 2Checkout, and Razorpay, to collect things like donations and registration fees, through your form. Create merged documents and PDFs. 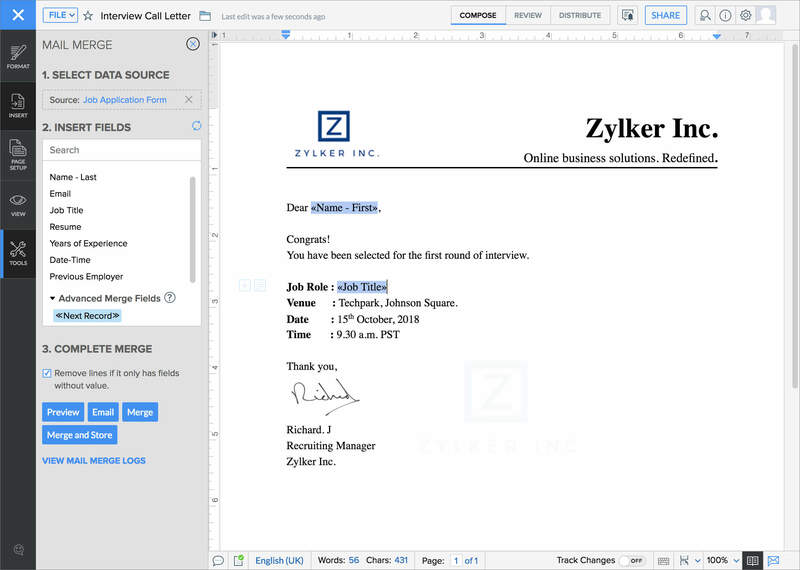 Merge Word documents and PDFs with form data and send them as email attachments. Completed forms can also be converted into PDFs for the respondent to download and save. Automate data flow between apps. With our well-integrated form solution, sync your data with the apps you use everyday. 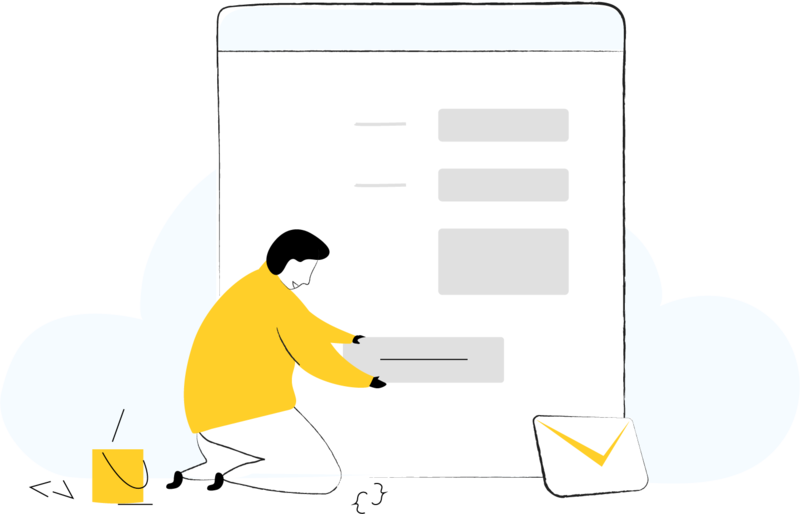 Push leads to a CRM, create support tickets out of form submissions, populate a campaign mailing list, or add form entries to a spreadsheet. Generate reports with form data. Generate custom reports with form data and share it with your team, or crunch numbers and gain insights about your form's performance with our form analytics. Set conditional rules and workflows. Hide irrelevant fields and trigger actions based on your respondent's answers, with intelligent rules. Set up multi-level form approval systems and delegate tasks to your team to collaborate more efficiently. Filter and analyze your data from any device, at any time. From creating forms to collecting data, do it all, even when you're offline, with our mobile apps. Everything stays in sync no matter what device you use. Your all-in-one HTML form generator is here. Zoho Forms is the all-in-one HTML form creator you've been waiting for. Our customization options let you ask any question you want, configure efficient workflows, and design attractive forms, all online.